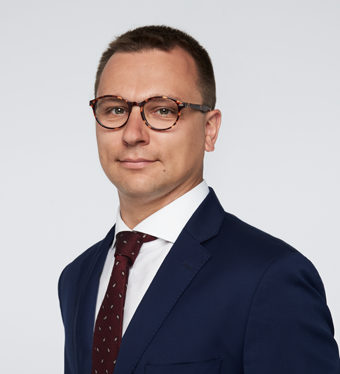 Tomasz is an expert in the fields of investment agreements, M&A, project finance and company law, as well as the implementation of R&D and energy projects. He advises investors, VC funds and founders of startups on a daily basis. Tomasz has advised on many investments, representing VC funds, business angels and startup founders. The knowledge and experience he has gained over many years and across numerous sectors of the economy, helps him in developing the best legal solutions for business. Tomasz gained his experience at a boutique law firm in San Francisco and at Gide Loyrette Nouel, an international law firm where he was involved in investment projects, including crowdfunding, economic proceedings and supporting corporate clients. He was also the main advisor for a Polish renewable energy company and has advised a US-based aviation client actively operating in the Central and Eastern European region. Tomasz is a qualified Legal Counsel and a law graduate from the University of Warsaw. He participates actively in the development of the startup community in Poland, including as a founder and board member of the Startup Poland Foundation. Tomasz is also the author of many publications and studies in the fields of VC, commercial and business law in Poland. representing Xevin VC in an investment agreement with the Polish Development Fund.